This is Amazing! The Complete Stupidity of Some People! Please consider a contribution of any amount to help us to continue our mission. THE UNITED WEST is an IRS 501-c3 non-profit organization approved for tax deductible donations. Thank you in advance for your help. 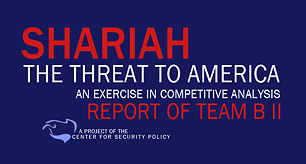 It is designed to provide a comprehensive and articulate second opinion on the official characterizations and assessments of this threat as put forth by the United States government. Uniting Western Civilization for Freedom and Liberty. THE UNITED WEST is an IRS 501-c3 non-profit organization approved for tax deductible donations.